2 days ahead of the beginning of the rehearsals, the delegations have just started departing and subsequently will arrive in Sofia today. All details and important matters concerning stand-in rehearsals, camera shots, the welcome of the press and delegations are being set in full swing as well as the construction of the areas where they will spend their time at the Arena Armeec. But for now, we can tell more details about the spokespeople who will travel with their respetive delegation to Sofia, in order to read out the points for their country on stage. Most of them competed at last year’s contest in Malta, among them is also the winner, Vincenzo Cantiello who won for Italy scoring a total of 159 points for the first they entered the contest. Now it’s time to reveal another name that we will be adding to the list. ESC+Plus is proud to announce, after several days of maddening silent, that the amazing and talented Maltese operatic singer Federica Falzon will also be traveling to Sofia to announce the points of the televoting and jury based in the Mediterranean island. 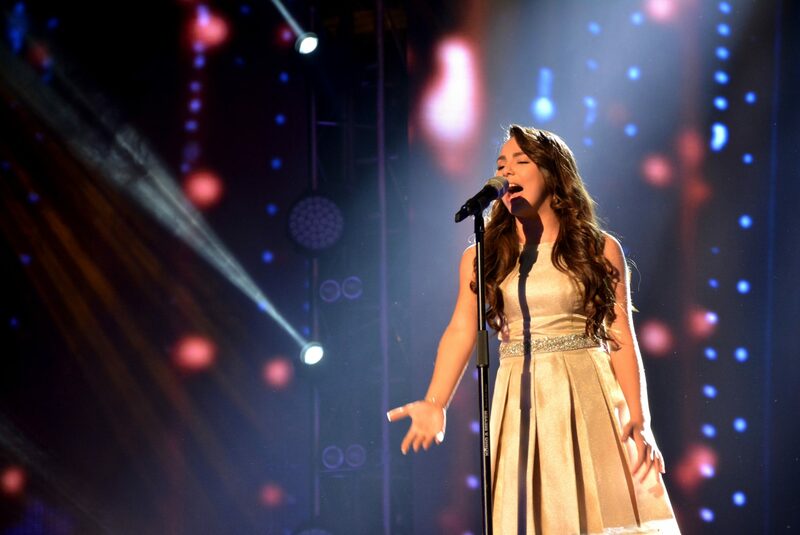 Federica represented the country at last year’s Junior Eurovision in her own home-land and performed the song ”Diamonds” penned by Elton Zarb and Matt ”Muxu” Mercieca, well-known for writing entries such as ”The Start”, ”Warrior” or even this year’s one ”Not My Soul” who will sung by Destiny Chukunyere. Despite being one of the favourites, she managed to get a respectable 4th place after Italy, Bulgaria and Armenia, the 2nd best placing of the country in the short history of the contest. Now, just right after a whole single year has passed since the contest took place inside the Malta Shipbuilding, she is ready to release a ”memoir”, her first auto-biography named ”Ghaziza 2014” (Dear 2014) where she recalls and tells from the very depth of her heart what she was going through and how happy she felt after winning ”Ti Lascio Una Canzone”, when she got to sing with popular Maltese singer Joseph Calleja and the experience at the Junior Eurovision. Along with her fathers, Iris and David and Federica’s teacher Joseph Bonnici and fellow friends, they all made this possible. The book will be presented tomorrow November 15th and on sale near St.George’s square in Malta in the occasion of the President Solidarity Fun Run, where Federica will be present signing copies of the the book. Stay tuned and follow our live coverage from the Junior Eurovision which we are doing from Monday on!